Audi, which began production in Mexico last September, says it's "in it for the long run." SAN JOSE CHIAPA, Mexico -- Audi received more than 165,000 job applications when it started hiring for its first production plant in Mexico, a clear sign of its premium reputation. But seven months after starting production on the Q5 crossover, the 4,000 or so who found a job in the plant are in the middle of a labor fight, holding their union leadership responsible for what they say are less-than-premium wages and benefits. The dissident group, called the "peaceful recall committee," has handed out fliers around the auto plant with its reasons for seeking more aggressive union leadership. One dissident leader, who requested anonymity to avoid problems with Audi, said workers are primarily upset with their union and not with the company, given that it is the union's job to fight for better wages and working conditions. The dissident leader said workers are making only about $15 a day and aren't receiving competitive fringe benefits that are typical in the auto industry here, such as monthly grocery vouchers and adequate incentives for attendance and productivity. 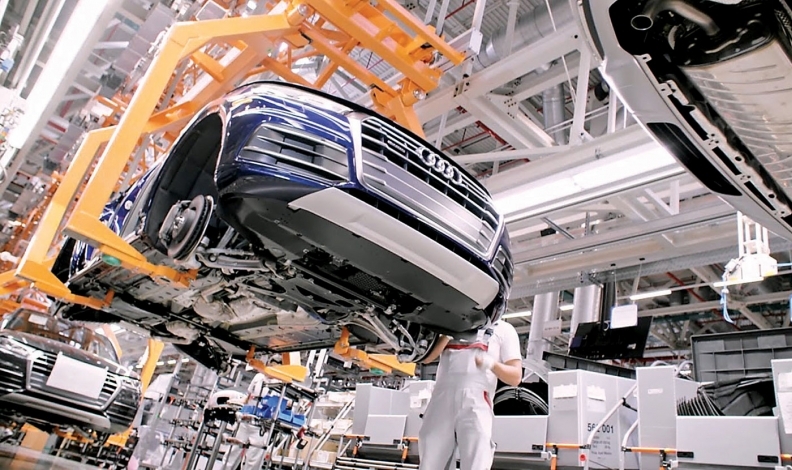 Leadership of the Independent Union of Audi Workers has said that it is willing to step aside if 66 percent of workers sign a petition of no confidence. It has also argued that it hasn't been able to hold Audi's feet to the fire on wages and benefits because the plant was inaugurated Sept. 30, meaning it's only now generating income for the automaker. Audi said in a statement to Automotive News: "The newest Audi plant is one of the most modern automotive production facilities in the world, in regards to technology as well as employee benefits," including above-average compensation and performance bonuses. As to the union situation, the company said that production hasn't been affected, and that "Audi Mexico is supporting any dialogue between its employees and their union representatives and will do so in the future, as satisfaction of our employees is a high priority for us."